Girl Versus Dough - Page 4 of 108 - Baking bread and other adventures. These gluten free lemon bars are next-level good, thanks in part to a brown butter shortbread crust. When life gives you lemons, don’t stress — make these lemon bars instead, and everything will be right again. 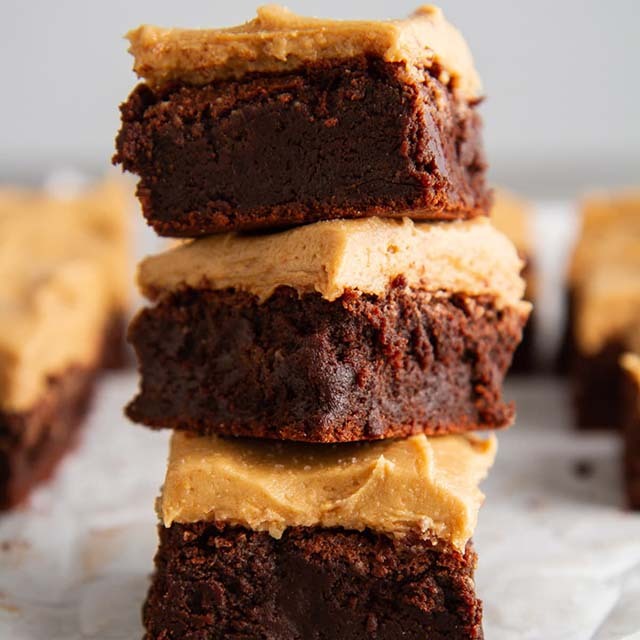 This recipe is a sponsored collaboration with Bob’s Red Mill. Thank you for supporting the brands that I love and use regularly. We are in the thick of it now. The diapers, the fights over who gets to wear the Elsa dress today, the need for a snack or water every 20 minutes. The bumps, the boo boos, the baths where half the water from the tub is left splashed all over the walls. Some days, I can embrace the chaos. 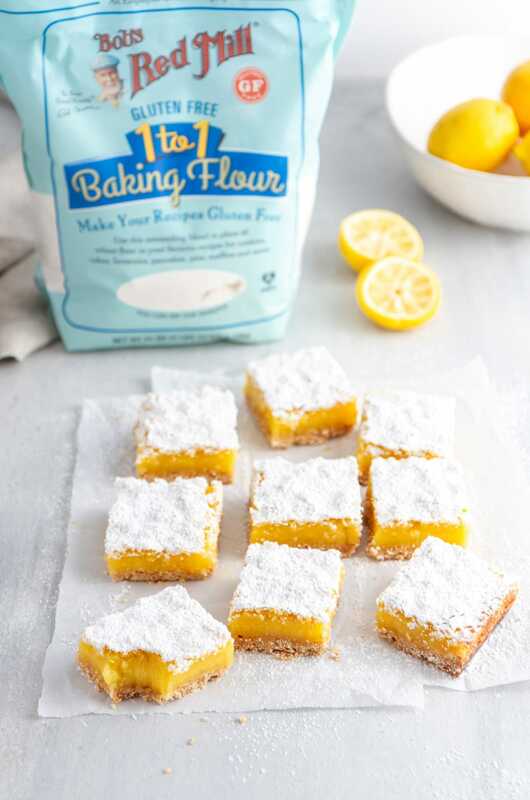 Other days, I am in desperate need of a vacation from it — but since that is far out of reach, I grab one of these gluten free lemon bars instead. And, if even for a few moments, I am transported to somewhere as bright and sunny as the sweet lemon filling in these bars. Did I mention it’s also quiet there? That part is especially nice. These easy soft and chewy sugar cookies are anything but plain. Perfectly crisp on the outside, chewy in the centers with the sweet flavor of vanilla throughout and a crunchy sugar topping, I dare you to eat just one. Happy Valentine’s Day! Are you team yay or nay when it comes to this holiday? For me, I really just like using it as an excuse for a date night in, to be honest. 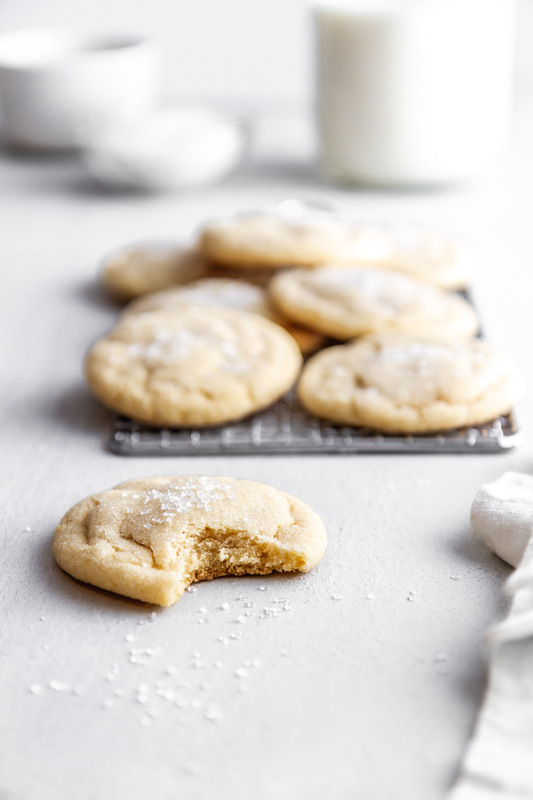 That, and having dessert, like one or five of these chewy sugar cookies — not that I need any excuse to do that. Friends, if you like cookies (which, if you do not we need to talk), you will LOVE these cookies. They might seem like plain sugar cookies, but that couldn’t be farther from reality. The fact is, well, can I let you in on a secret? These might just be my new favorite cookies of all time. Fair warning — this carrot ginger coconut soup is addictive. 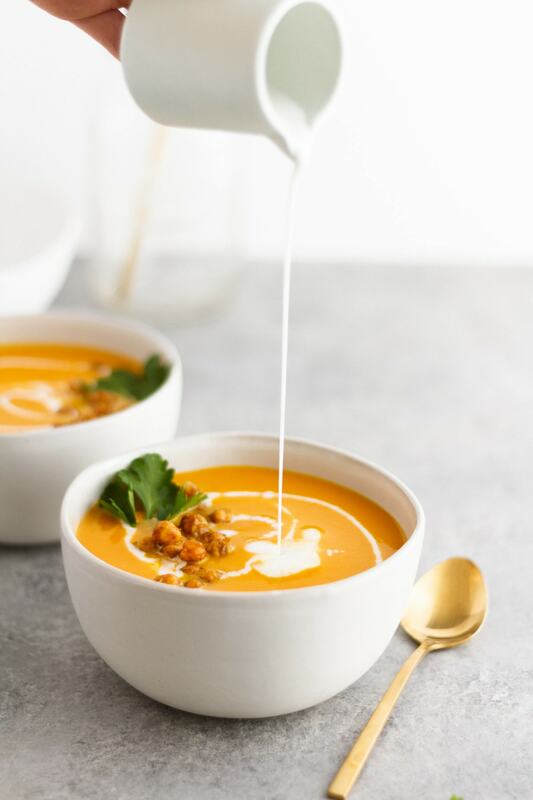 This velvety vegan soup recipe is filled with fresh carrots, turmeric, ginger and creamy coconut milk and topped with spiced, roasted chickpeas and chopped herbs. One sip of soup, and you’ll be hooked. Don’t be surprised if you find yourself going back for thirds. Soup season is fully upon us, and I am ashamed to admit this is the first homemade soup I’ve made since it started. Gah, I know. Who even am I? I’m someone who has suffered through one too many canned soups and finally said ENOUGH. Enter from stage right, this carrot ginger coconut soup. Cue the applause. 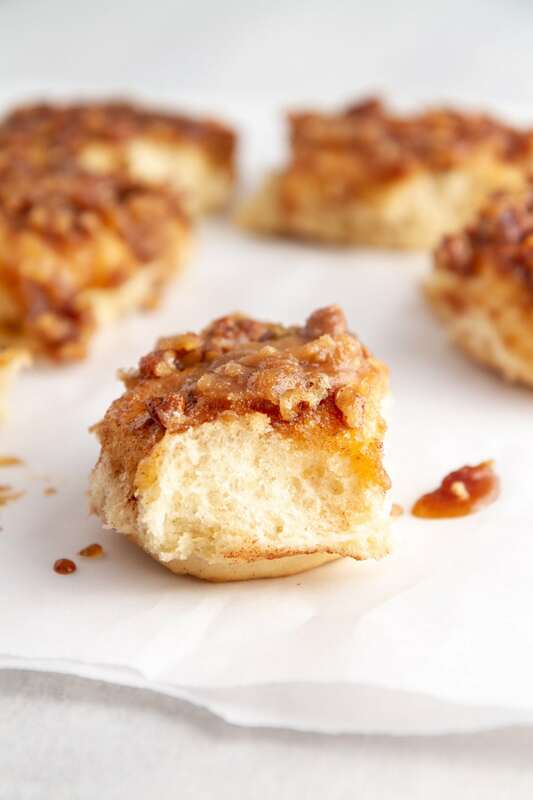 Breakfast called and it wants — nay, NEEDS — these overnight caramel pecan sticky buns. Prep these tonight for a perfectly sweet, fluffy, gooey, homemade morning treat everyone at the table will love. It’s a full-on winter wonderland outside in Minnesota and I am full-on here for it. Much as I do love me some warmth and sunshine, there’s nothing quite as magical as a blanket of fluffy white snow — especially if I’m inside in a cozy warm blanket with a cup of coffee in hand to enjoy it. But you know what’s even better than that? Enjoying the snow from inside with a cozy blanket, cup of coffee in one hand and a plate of overnight caramel sticky buns in the other. That is living the best life. Cozy up to this Winter Deep Dish Sausage Pizza with Brussels Sprouts and Pesto. 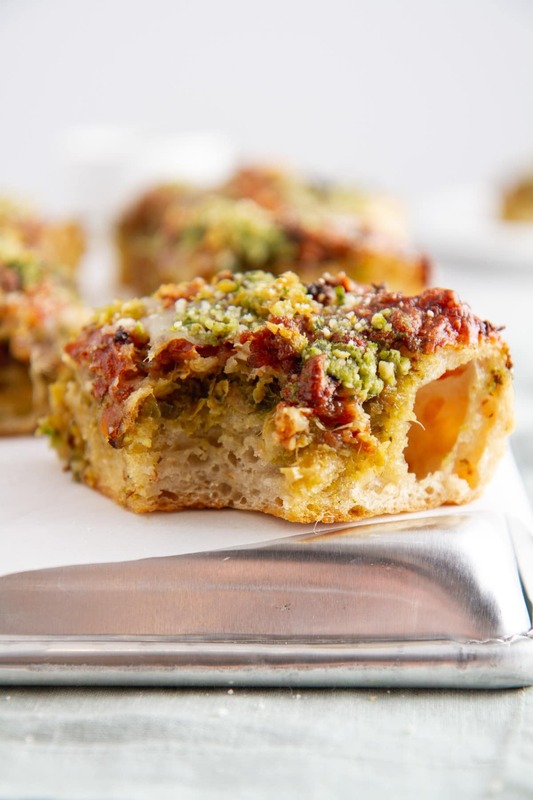 A thick homemade no-knead pizza crust is topped with layers of sauteed Brussels sprouts, melty mozzarella cheese, creamy pesto and hot Italian sausage crumbles. It’s official: this pizza is my Valentine. I’m coming to terms with the fact that I need to have a break-up, and that break-up is with frozen pizza. Yes, I know, it’s so easy to just pop a pizza pie into the oven and have hot and ready pizza in 20 minutes, but it’s just never that good, ya know? The crust tastes like cardboard, the sauce is too sweet, the toppings include approximately 3.25 pieces of pepperoni, etc. You get my point. While there may be a time and place for subpar frozen pizza, to me, it’s just a waste of a perfectly good pizza night. So now that I’ve broken up with frozen pizza, I want to introduce you to my new Valentine: this homemade deep dish sausage pizza topped with Brussels sprouts, pesto, Italian sausage and of course, cheese. This is no rebound, friends — this is the real deal of pizza. It’s true love at first bite.